Belkin Power Management Software for Windows is a program developed by Belkin International, Inc.. We know of version 3.2. Version 3.22 is downloadable at our site. 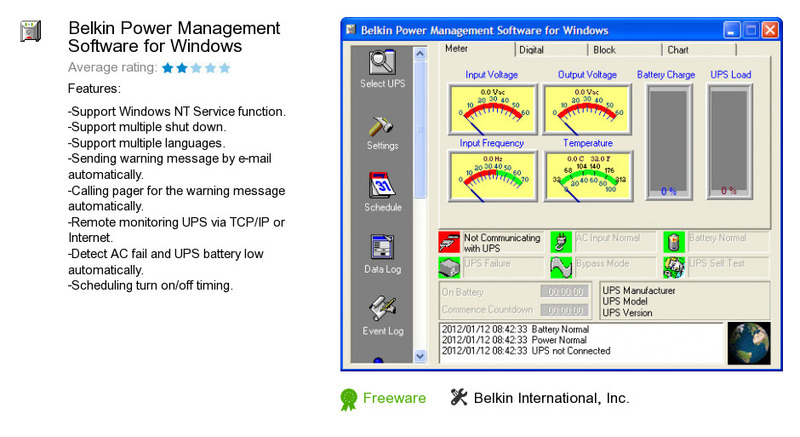 Belkin Power Management Software for Windows distributive has a size of 7,228,308 bytes. Belkin International, Inc. also publishes Belkin Flash Media Reader-Writer and Belkin HomePlug Utility.